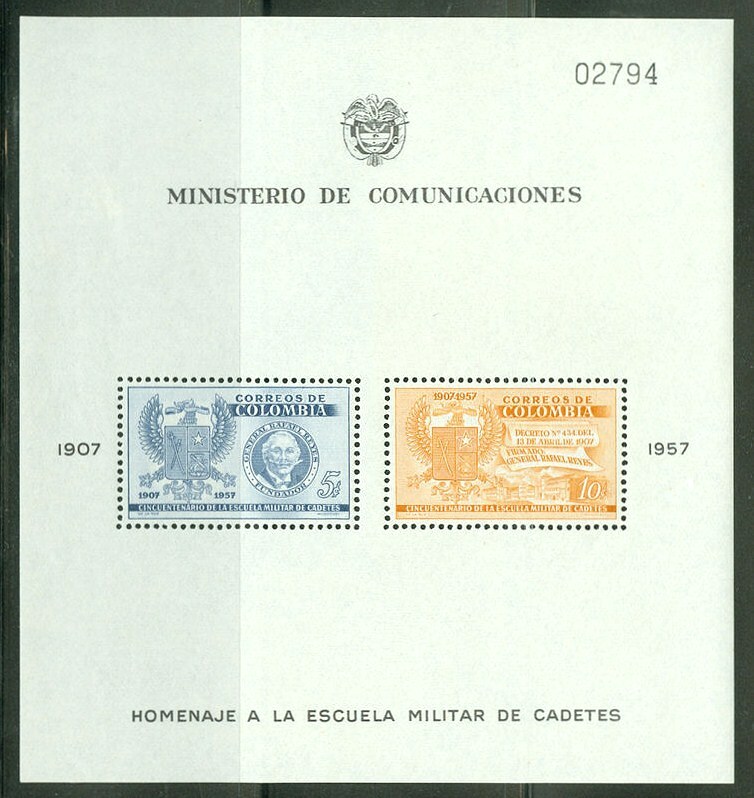 In 1957, Colombia issued a set and souvenir sheet commemorating the 50th Anniversary of the Colombian Military Academy (Scott #673-74, 674a). 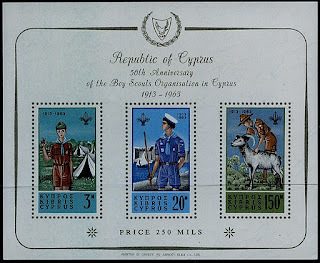 While the set is relatively common, only 10,000 of the souvenir sheet were issued, and Scott '12 prices it unused at $20.00 . The souvenir sheet is somewhat large, and care should be taken to ascertain that it doesn't have creases or bends before purchasing it. It should do well based based upon the growth of Colombia's economy, and the long-term stealth bull market for better Latin American stamps in general. It is sometimes rewarding to spend a bit of time ferreting through old tomes and philatelic journals, as one can uncover oddities like a poem about stamp collecting. Impressed upon stamps, old and new. Then Baden with griffins and bar. From which her dead rulers look down. Do honor to England’s brave head. Who’ve flourished and lived in past years. 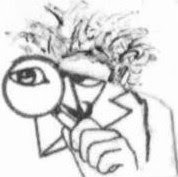 The figures confuse and commingle. For tasks that await me today. In 1919, Newfoundland issued a set of twelve stamps (Scott #115-26) honoring the 1,204 Newfoundlanders who died in World War I. Each stamp pictures Newfoundland's Official Animal, the Caribou, and notes a famous battleground of that pointless war. 48,400 sets were issued, and Scott '12 prices the unused set at $264.25 ($425.00 for NH) . Aside from being an undervalued B.N.A. 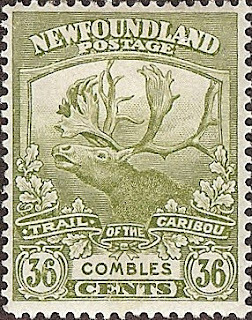 issue, the Caribou Issue has the added appeal of being an Animal Topical set. 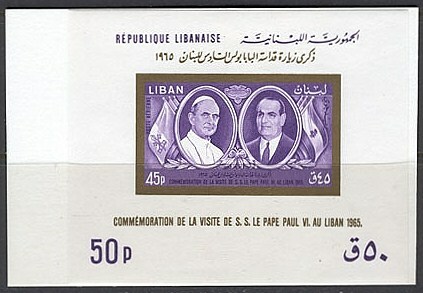 In 1965, Pope Paul VI visited Lebanon, which commemorated the event by issuing a stamp and souvenir sheet picturing the Holy Pontiff and Lebanese President Chehab (Scott #C437,C437a). 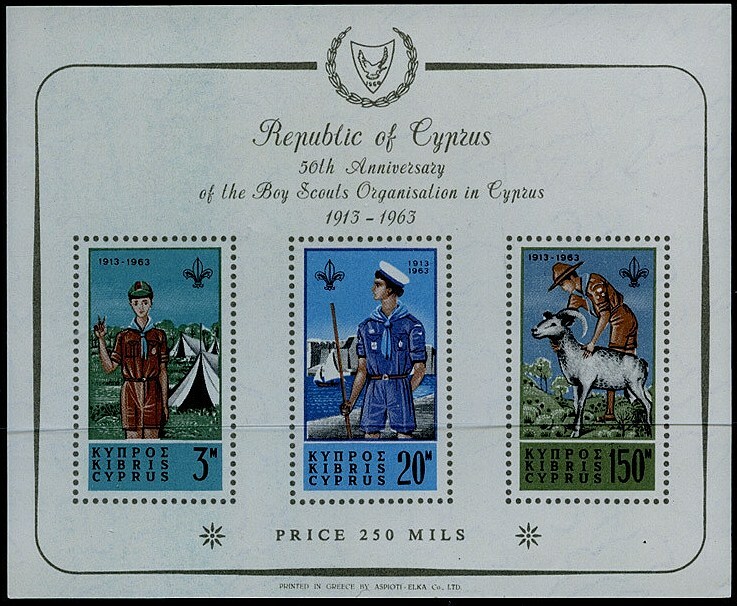 50,000 of the stamp and 5,000 of the souvenir sheet were issued, and Scott '12 prices them unused at $5.25 and $52.50, respectively. I recommend the purchase of both. 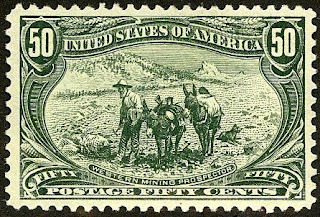 While the quantity issued of the souvenir sheet was only a tenth that of the stamp, it is very likely that many of the stamps were used as postage and discarded. 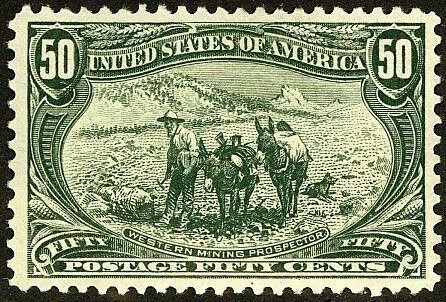 The souvenir sheet was sold at a slight premium over face value, so virtually all of them were probably saved, either mint or first day-canceled. The issue has dual market appeal among collectors of both Lebanon and Catholicism Topicals. There are approximately 1.2 billion Catholic Christians in the world, and many live in the emerging market nations of Latin America, Asia, and Africa. Topicals related to the Catholic Church should be bolstered by economic growth in these areas. 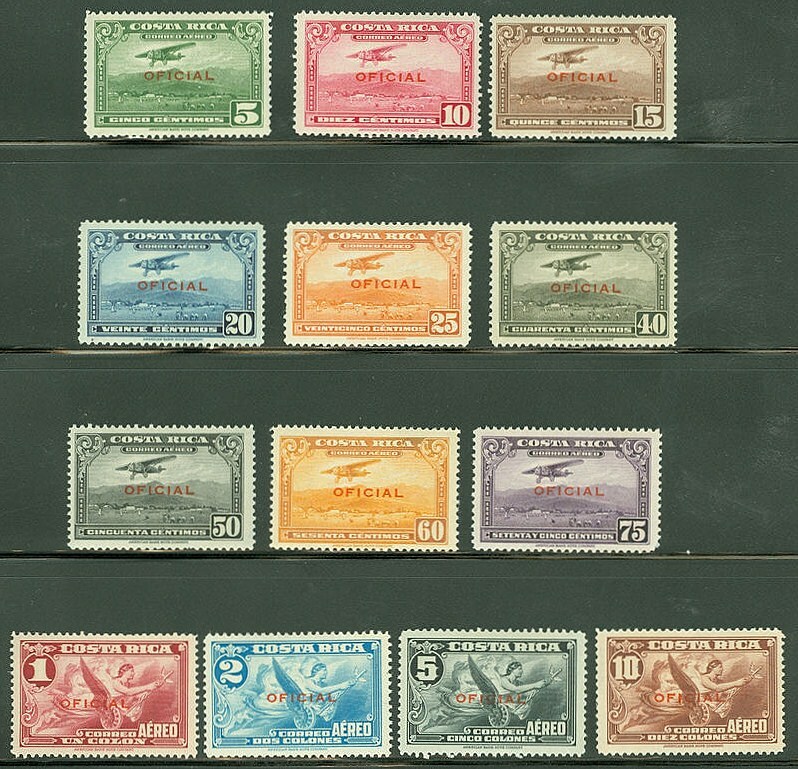 In 1934, Costa Rica overprinted overprinted 3,100 sets of its current airmail set, creating a set of Airmail Official stamps (Scott #CO1-13). Scott '12 prices the unused set at $ 32.00. 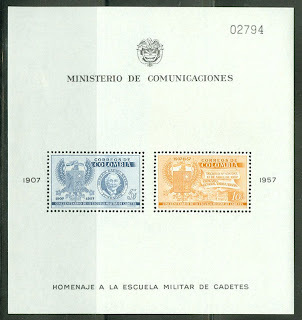 In my opinion, this is yet another example of a neglected Latin American back-of-book issue. Even in the highly unlikely event that every one of the sets issued still remains, it is still grossly undervalued. This small nation of 4 1/2 million people is unique as the only Latin American country to have escaped the plague of repressive dictatorships and oligarchies endemic to the region. Costa Rica has generally enjoyed greater peace and more consistent political stability than many of its fellow Latin American nations. The government offers generous tax exemptions to those investing in the country,and in recent times electronics, pharmaceuticals, financial outsourcing, software development, and eco-tourism have become the prime industries in Costa Rica's economy. High levels of education among its residents make the country an attractive investing location. Annual GDP growth has averaged 5.6% over the last 5 years. 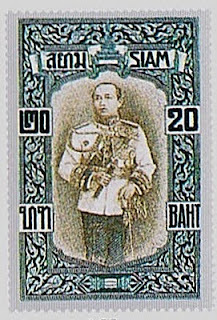 Thailand honored its king with two sets issued in 1912 and 1917. Both the Vienna set (Scott #145-56) and the London set (Scott #164-75) were engraved, and have minute design differences which are described by Scott and other catalogs. 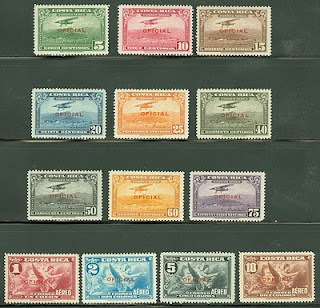 10,000 of each were issued, and Scott '12 prices them unused at $973.00 and $1,936.- , respectively. •the modern souvenir sheets with low printings and/or topical appeal, especially those of the 1970s and '80s. 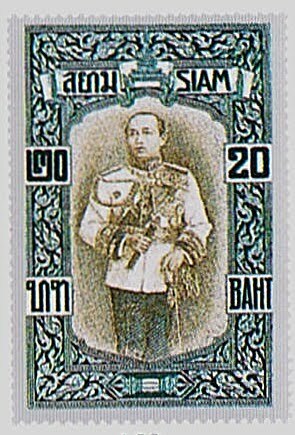 I intend to spotlight stamps from each of these categories in future articles, as the prospects for significant long-term growth of the Thai stamp market are very promising. 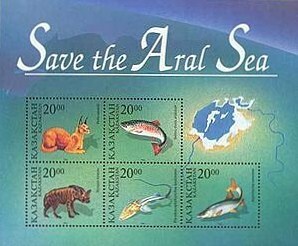 In 1996, Kazakhstan issued a souvenir sheet promoting the cause of saving the Aral Sea (Scott #145). 50,000 were issued, and Scott '12 prices the unused souvenir sheet at $5.00. The sheet makes an interesting and low-risk speculation based on its appeal as both an Animal and an Eco- topical, and as a bet on the economic growth of Azerbaijan and the development of a stamp market there. This recommendation is consistent with my belief that one of the best ways to play the new and newly resurrected countries of Europe and Asia is to focus on popular topicals with low printings. A nation of 16 million, Kazakhstan is known to many outsiders from the somewhat demeaning film comedy "Borat." It is the 9th largest country in the world, with a territory greater than that of Western Europe, although its population density is less than 15 per square mile. Kazakhstan has plentiful reserves of oil, natural gas, uranium, chromium, lead, zinc, manganese, coal, iron, and gold. It also has a major agricultural sector, and is the seventh largest producer of grain. Annual GDP growth has averaged about 6% over the last 5 years.